This spring, a prime viewing area in Disney's Hollywood Studios® was the setting for residents to be dazzled by a breathtaking nighttime spectacular and specialty eats. The occasion? A Fantasmic! dessert party that brought together Golden Oak residents and Mickey Mouse, Disney heroes, princesses and villains in the sensational show based on the classic Disney movie, Fantasia. It was such an evening to remember that "already many of our residents can't wait to go to the next one," said Gaia Gebbia, Event & Activities Manager at Golden Oak. "The weather was perfect. Our residents raved about the desserts and how great it was to mingle and enjoy the experience together." The night unfolded with fun and suspenseful surprises. Prior to departure from Summerhouse, a number of residents gathered for Fantasia-themed dishes and cocktails at Markham's Restaurant and Tyler's Lounge. Then everyone in the lively group -- ranging from children to grandparents and a few Cast Members from Resident Services -- was whisked away from Summerhouse to Disney's Hollywood Studios® via private transportation. Upon arrival at their prime viewing area, our group settled in around dramatically lit "glow tables" and were served gourmet desserts and beverages. And then came the astonishing show. Joined by a cast of 50 costumed performers singing beloved Disney tunes, pyrotechnics, laser lights and classic animation projected onto walls of dancing water, Mickey Mouse reprised his role as the sorcerer's apprentice. After the return trip back to Summerhouse, many residents reconvened at Markham's and Tyler's. Chalk up another magical event on the community calendar at Golden Oak -- and hats off to the team at the Golden Oak Club for creating it! "Our pleasure," said Barry Jacobson, Operations General Manager at Golden Oak. "It's all about that something extra to take the experience to another level for residents of the Golden Oak Community. 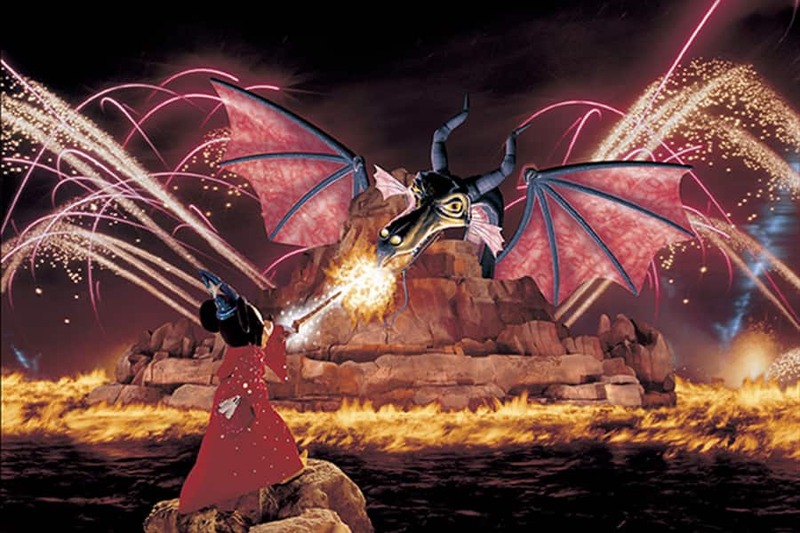 And the Fantasmic! dessert party is a stellar example of the signature offerings we love to create."